Learning shouldn’t be exclusive, expensive or inaccessible. Public libraries were started in Omaha in 1854 with the idea that everyone should be able to learn more, read freely and educate themselves in subjects of their own choosing. Reading was seen as entertainment, too, like it still is. 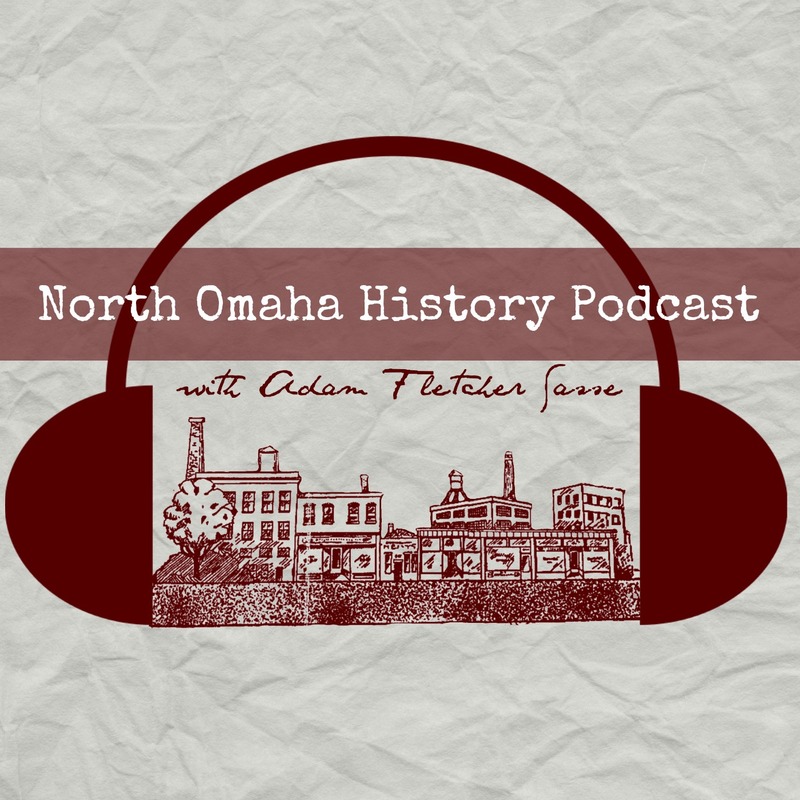 Together but separately, African Americans, Jews, Native Americans, Eastern Europeans, Irish, Russians, Italians, English, second-generation Americans, and others formed the early core of the North Omaha community. While there were wealthy North Omahans, most were working class people who struggled to make ends meet and establish their place in a new town with new neighborhoods in the cutting-edge technologies of their time, including the railroad, mineral processing, and warehousing. The library didn’t grow with these people though. Instead, it was downtown only, and stayed that way for 20 years until the 1870s. Lane Drug at North 24th and Ames was opened in 1898 and closed in 1970. This is where the original Omaha Public Library outreach happened starting in 1905. In 1905, the first-ever North Branch of the Omaha Public Library opened in the Saratoga Drug Company store in the Saratoga neighborhood on the northwest corner of North 24th and Ames Avenue. This store later became Lane Drug. According to an archived copy of the Omaha Public Library, the original library had opened downtown in 1872. It took more than 30 years to come to North Omaha. A recently-paved Ames Avenue was lined with several other amenities, including the streetcar barn on the southeast corner of North 24th and Ames; the Omaha Fire Department station on North 25th and Ames; a few movie theaters; a few grocery stores; other sundries; the Druid Hall; several churches; the Belt Line Railroad; and more, including schools, Florence Boulevard; and several light industries. The Saratoga Drug Company opened at North 24th and Ames in the 1880s, and some version of the store sustained there through the 1960s. There’s no explanation for why the library opened in the back of the store in 1905, but it seems logical. Driving foot traffic was an essential part of any storefront business in that era. People would get off the streetcar or out of their buggy, stroll into the store to do their business, check out a book and head off. Located at a busy intersection in the northern part of North Omaha, this location wasn’t near the African American neighborhood, nor the part of North Omaha that was home to low-income immigrants. Instead, it was in the leafy suburbs filled with middle class white people. These people were traveling the city’s streetcar system, using city amenities like the parks and boulevards, and looking for more returns from their tax dollars, like neighborhood libraries. The second location of the North Library was an answer to these demands. Trinity Lutheran Church was located on the southwest corner of North 25th and Ames Avenue. After it moved in 1921, the building served as the home of the North Library until 1931. Swedes built the German-language Trinity Lutheran Church at North 25th and Ames Avenue in the 1880s. Moving to a new location at North 30th and Redick Avenue in 1921, the North Branch of the Omaha Public Library was established in their old building the same year. Serving the growing neighborhood, the library was a neighbor to the same institutions as the previous location, but now abutted the densely built housing and apartments that filled the surrounding Saratoga neighborhood. Westward along Ames Avenue were dozens of single-family homes, along with a few apartment buildings and businesses, all the way to North 29th Street. To the south, the Belt Line railway was now hauling light industrial goods through the neighborhood and forming a barrier to the Kountze Place area, which then featured the large homes of early wealthy Omahans. Northward was the Miller Park neighborhood, and to the east was the Sherman neighborhood and East Omaha. All of these kids fed into the building, and packed the old wood-clad church with noise, reading and people. In 1931, this building was declared inadequate and another one was built. This is the North Branch of the Omaha Public Library at N. 29th and Ames Avenue, which was located there from 1931 to 1972. The old church building was replaced by a newly built library building in 1938 at 29th and Ames Ave. The address, 2868 Ames Avenue, was just three blocks from its old edifice, but managed to open the library’s services to an entire neighborhood full of kids. Sharing this information, I’ve learned that kids who lived as far away as North 36th and North 16th considered this library their home-away-from-home. Located within the North 30th and Ames Historic Commercial District, it was surrounded by successful businesses that attracted kid customers, like the Beacon Theater, a half-dozen grocery stores, a five-and-dime, a bakery, and more. This is the North Library building built in 1931 at N. 29th and Ames Avenue and demolished in 1972. This building served the community for 30 years before overcrowding and a lack of upkeep made the building obsolete and dangerous. In 1965, part of the ceiling fell in, and although it took more than a half-decade, a new building was constructed. This is Charles B. Washington and other community leaders at a circa 1980 event at Zion Baptist Church. In 1972, a federal grant allowed the Omaha Public Library to rebuild the branch. Designed by the architectural firm Dana Larson Roubal & Associates, the building was heralded for its cutting edge design. The branch was renamed as a tribute to Charles B. Washington in 1986. Washington (1923-1986) was a journalist and civil rights activist whose work in North Omaha is still making the community a better place today. Initially the sports editor for The Omaha Star, Washington left the paper to go to college. He was reportedly the youngest editor of any independent black newspaper in the country. In 1944, he was hired by City Recreation director George Vanous and managed softball and baseball teams in the city. He later returned to the Star as a reporter and interviewed Malcolm X for the publication. When he retired from the paper, he had worked as an editor there for 48 years. As host of the Urban League-sponsored television program “Omaha, Can We Do?” on WOWT, Washington became a well-known local television personality. Washington was renowned for his role in the community as a mentor, a guide and a sage. As a journalist, he accessed the city’s corridors of power and opened doors that weren’t historically open to North Omaha’s African American population. He was a relentless advocate, and constantly called for the best for the community. When he died suddenly in 1986, the community called for an appropriate tribute, and on September 14, 1986, the North Branch of the Omaha Public Library was renamed after him. In 2006, a major renovation and expansion was completed focused on upgrading the exterior of the building and increasing the technology available at the branch. Mayor Mike Fahey, performers from North High School and University of Nebraska at Omaha, and actor/rapper Ice-T attended. Today, the Charles B. Washington Branch of the Omaha Public Library continues serving the community as an integral, necessary and large part of Omaha’s educational quilt. “For Nearly 100 Years, Charles B. Washington Library a North Omaha Fixture,” a history of the Charles B. Washington Library published by the Omaha Public Library on August 16, 2014. “A Voice for North Omaha: Charles B. Washington” by Patrick N., Devin B., and Jordan B. from Omaha Public Schools Making Invisible Histories Visible initiative.